RIM officially launched its BlackBerry Mobile Fusion management software today, and as promised, it comes with support for devices running Android and iOS. The platform is aimed at enterprises, which can use it to manage multiple smart mobile devices from a single web-based interface. Of course, BlackBerry Mobile Fusion can be used with BlackBerry smartphones, the BlackBerry PlayBook, and with future BlackBerry 10 devices. 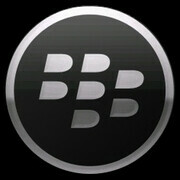 Enterprises interested in BlackBerry Mobile Fusion may take advantage of the 60-day trial, which RIM is currently running. Individual client access licenses are available for $99 per user, or $4 per user monthly if billed on a yearly basis. Volume discounts are available as well. First smart move by RIM in last last 3 years. Maybe if they had had this from the start, the Playbook would have obtained some relevance. Few people wanted to be saddled with a Blackberry phone just to take advantage of this feature on the Playbook.